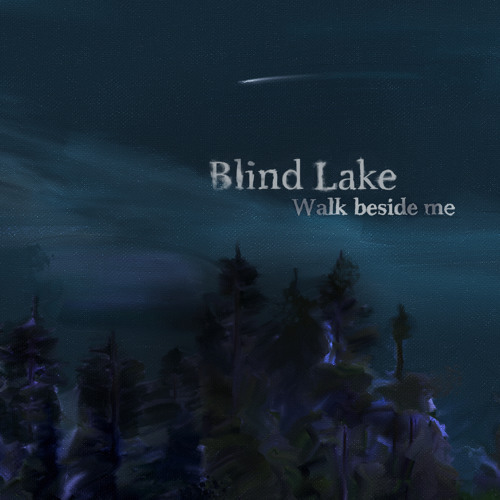 2015 A Margit Music Release Artist: Blind Lake Track: Walk beside me Release date: March 3, 2015 This is the first single out from the forthcoming album "On earth. Album release June 9, 2015 BÖSTE, Sweden (March 3, 2015) - Swedish duo, Blind Lake, releases the debut single “Walk Beside Me” off their upcoming album, On earth, due out June 9 on Margit Music. An electronic hymn that slides into a dark disco beat, it is a symbol for anyone who has loved and lost. The song delivers a sense of catharsis for the anger and angst that comes with losing a loved one too soon while serving as a reminder that even in the darkest times there is space to discover light. “Walk Beside Me” chronicles the time frontman Måns Wieslander spent driving back and forth to the countryside to see his brother in the last weeks of his life. A universal theme of life and death, love and loss, it reflects the idea of having someone by your side even through the tough times and demonstrates you are not alone and as much as you need me… I need you too. Lotta Wenglén and Wieslander open the song with reverent harmonies and angelic instrumentals reflecting a slow moving dream state associated with watching someone close to you fade away. As the tempo steadily climbs, it explodes into a disco beat representative of somebody shaking up the funeral party. Wieslander’s rich baritone brings to mind David Bowie circa “Let’s Dance” as he sings “We were driving every day across the meadows and fields / to see you lying on a couch, your eyes the color of thieves in heaven.” Wieslander says, “The dying man which the song is about would´ve loved to dance to it, had he lived.” About Blind Lake Originally a 2003 sci-fi novel by Robert Charles Wilson, Blind Lake, the duo comprised of Lotta Wenglén (guitar, bass, keyboards, drums, vocals) and Måns Wieslander (guitar, drums, bass, vocals) derived their band name from the book where in a small Minnesota locale, through alien technology, scientists are able to follow the everyday lives of aliens on a distant planet. The paranormal subject matter aptly reflects the Böste, Sweden based duo’s approach to art, music, philosophy and the perfectly normal events in life which remain perfectly unexplainable. Wenglén earned best of year accolades on her fourth solo album, has played and recorded with Chip Taylor (“Wild Thing”, “Angel of the Morning”) and toured and recorded with Nina Persson of the Cardigans in support of an award winning documentary called “Jag är min egen Dolly Parton” (I Am My Own Dolly Parton). Her pre-solo band ba-ba-loo toured with Whiskeytown and The Lotta Wenglén band opened for The Cave Singers. Måns Wieslander played with Australian punk band The Saints while his solo band Elevator Adam supported the likes of The Posies and Hoodoo Gurus.